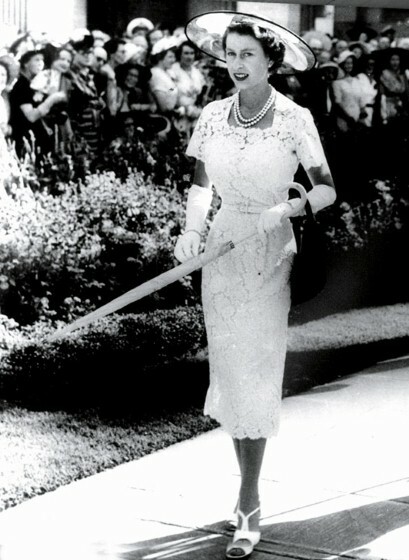 Recently, I posed a question to a group of friends about Queen Elizabeth and her sense of style. While I waited for a rousing debate over the state of the regal lady's fashion sense, I was slightly surprised to be greeted with a gaggle of blank expressions. The Queen, they said, was an absolutely lovely being, the embodiment of a true monarch in every sense of the word and one that has done a wonderful job for the last 60 years as our sovereign but a style icon? No, they just couldn't agree or understand where I was going with my question. I could see my task of changing their minds (or at least shining a light on a different perspective) was not going to be as easy one since most are convinced that iconic status can only be reflected by one's ease with trends and willingness to mimic what they see in the glossies at any time. 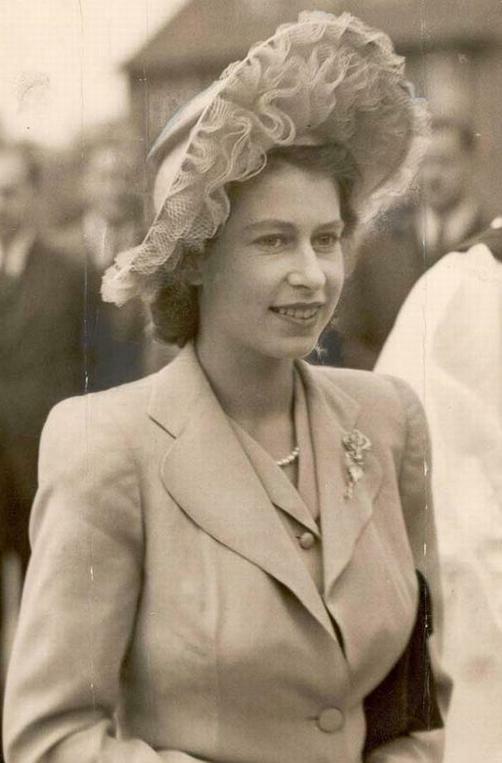 The Queen, who celebrates her Diamond Jubilee this weekend, 60 years on the throne of England and the Commonwealth, may not be known as the most stylish of royals and I am pretty sure she is okay with that. 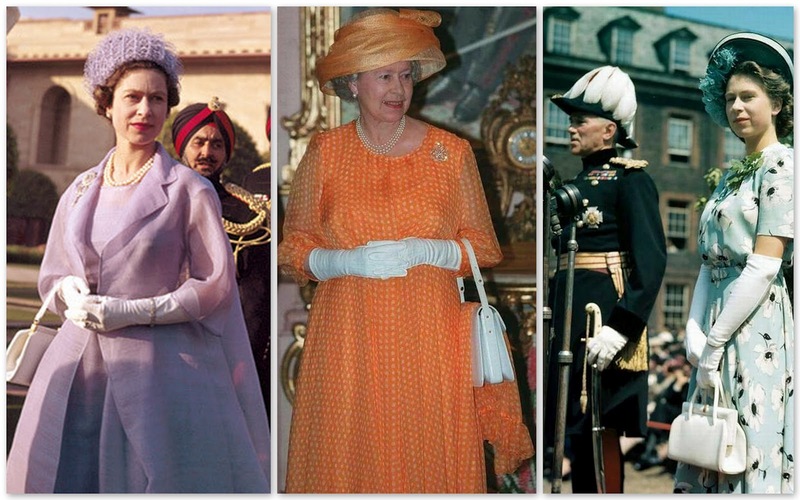 Yet I often marvel at the fact that in 60 years of being 'Queen' she has rarely made any fashion faux pas (save a few interesting outfits in the 1970's!) or been victim to a wardrobe malfunction. With a full retinue of ladies in waiting and a crew of staff at her disposal one could say that she has had all the help in the world to avoid such incidents but in my opinion, it is the Queen and no one else who has navigated her way stylishly through the decades with impeccable flair. It has been frequently noted that her Majesty never cared that much for clothes, that she chose to wear what she liked and what fulfilled function more than fashion (much like the sturdy handbags she has carried for years despite somewhat silent criticism from the press and designers that dressed her). That desire to wear what she liked and what suited her is more telling of true style than any Pucci print or 'It' bag ever could. 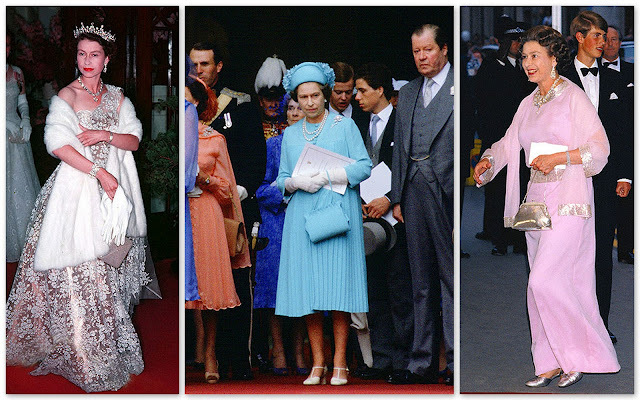 As a woman who knows who she is and the role she was destined to take in history, she has never bowed to the passing trends of the decades, choosing to stick with silhouettes and prints that she knew worked for her and accommodated royal protocol as well. In her early days as princess and then as newly crowned Queen, she preferred the full skirted looks in favor at the time and was known to be at her most stylish during this era, being dressed by the likes of Hardy Amies and Norman Hartnell. After having children, she started to dress the part of a busy young mother (similar to any of her contemporaries at the time, blue-blooded or otherwise) in fitted skirt suits, (that showed off a royal tiny waist!) avoiding the pant which is still does to this day. 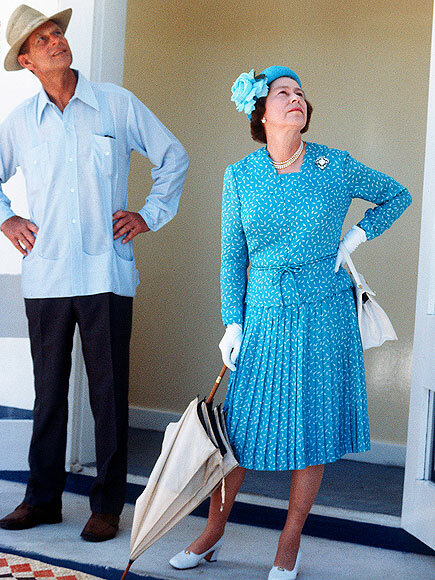 When asked once why the Queen was never seen in trousers save for a few times throughout her reign, it was said that she found it easier on her walkabouts in public to feel as unencumbered as possible, a feeling that only skirts and dresses offered her. 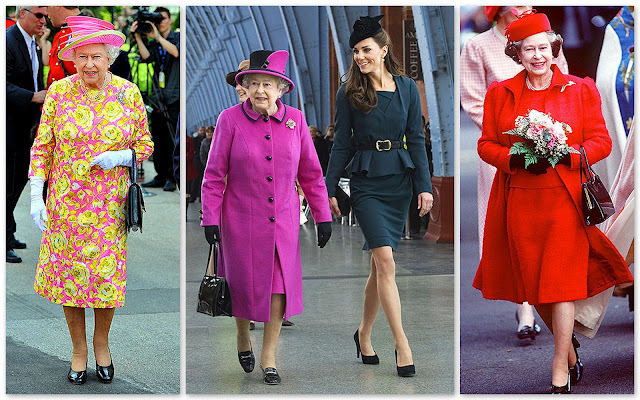 In later years, her quiet nods to the fashion of the time came in forms of colour, dabbling in brights and neon florals in mode and her signature headscarves (quite Jackie O don't you think?!). After a little chic debate, the tides turned at the fashion 'roundtable' I mentioned earlier, a new appreciation had taken hold for the fashion sense of the Regent. Still, some of them just couldn't picture 'Lillibet' in any role other than 'grandmotherly', a grandmother who just happens to be the Queen of England but a grandmother nonetheless. So I throw the question to you today? I admit, I wouldn't have initially thought of her as a style icon. But the photos you have shown of a younger Elizabeth have convinced my otherwise. Look at her waist in the photo taken in New Zealand - so tiny! I remember when she came to the Kentucky Derby a few years ago. She was wearing a beautiful shade of green and she looked so wonderful. It's an amazing anniversary she is celebrating. I think she looks fabulous! Even though I live in the US, I respect her so much! She's such a regal lady. And being queen for 60 years? Wow! What a woman! Wow she looks stunning in that 1953 pic. I love seeing a woman age without fillers and facelifts. 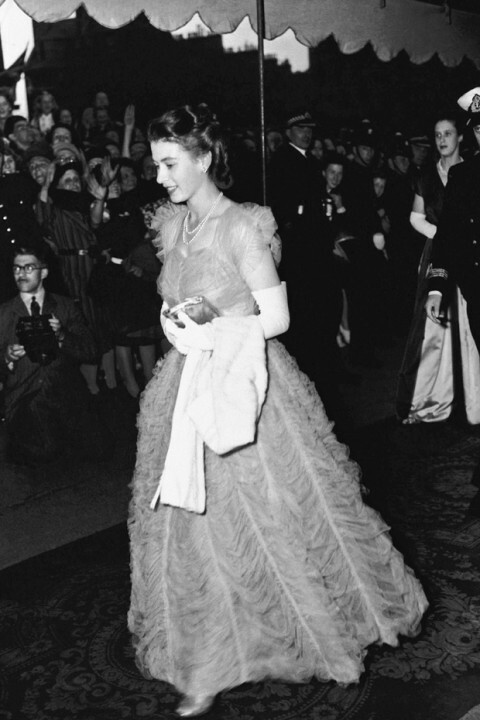 A beautiful tribute to H.M.'s style over time. Also some photos I have never seen before. i also like the style she has developped over recent years, with some daring colour and detail without losing her style. She knows what suits her, she knows what she wants. Stunning . 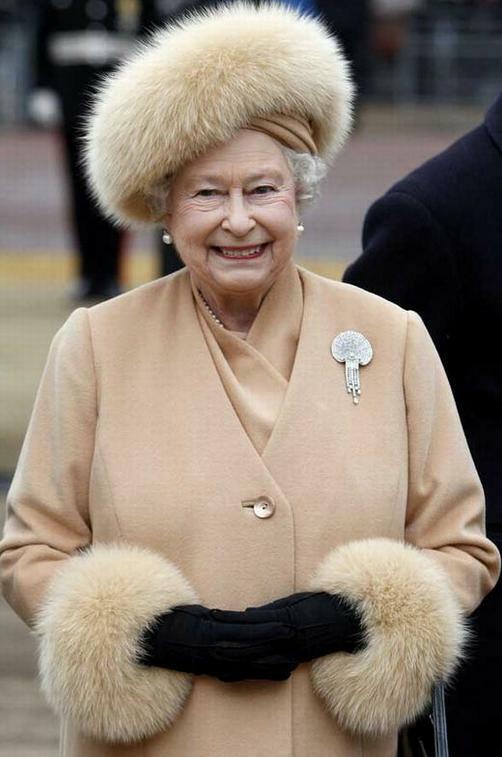 HM is stylish in her very own way. 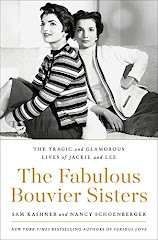 You have done a great job illustrating her style over the decades.